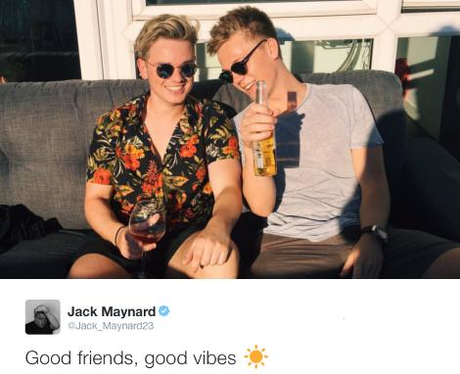 Jack Maynard took FULL advantage of the sun, but... WHERE WAS OUR INVITE?! 4. Jack Maynard took FULL advantage of the sun, but... WHERE WAS OUR INVITE?! Jack. Caspar Lee. Some INCREDIBLE Hawaiian shirts and a couple of drinks. Can someone get these guys a medal, because they've just won Summer. Don't even try to top them.